Halcyon Dreams manufacturing arm has over 17 years experience producing wool quilts and underlays. 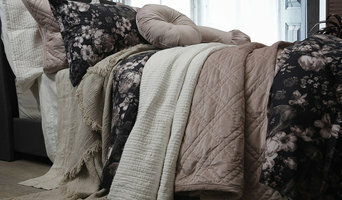 We manufacture and supply premium, 100% pure new Australian wool quilts and woollen underlays. Our wool products are 100% Australian made. We craft luxurious home linens made of 100% super fine pure Egyptian cotton targeting high end consumers with very competitive prices. I make boutique headboards artistically hand-painted on lightweight eco-wood. My patented design headboards are modular and stick directly onto the wall without penetrating the surface. 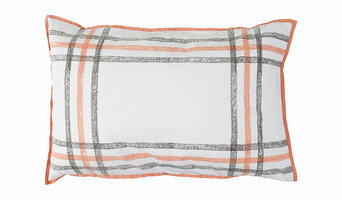 Enjoy this fresh aesthetic and instantly inject colour and style into your bedroom. Bedloves is the bedding label with heart. We want to find you little bedroom luxuries that will help you dream big. We have started with our inaugural range of linen basics, because we think Linen can offer the customer so many advantages. Not only will it help you sleep, but stone washed linen also looks polished an classy with minimal effort. We also recommend Organic Bamboo bed sheets as they are heavenly soft, anti-bacterial and great for sensitive skin. Planning a bedroom makeover? Creating a luxurious retreat won't be complete until you fund the ideal duvet, linen and other bedding. Quilt covers alone can transform a space from ho-hum to a grand boudoir. In the same way, a bathroom makeover can be as simple as new bath towels or bath accessories. 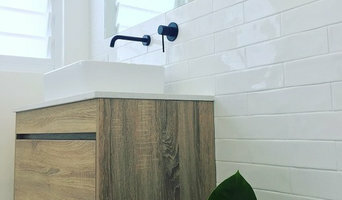 A bathroom renovation in Croydon could see you sourcing a new bathtub or bathroom taps. Here are some related professionals and vendors to complement the work of bedding & bath: Home Stylists and Property Staging, Kitchen & Bathroom Designers, Interior Designers & Decorators, Furniture & Accessories. A good place to start is re-vamping your storage. In a bathroom, where storage is often in short supply, a supplier who has a wide variety of brands and ideas can save your days of searching. So start by perusing the reviews and ratings of bedding and bath manufacturers and retailers in your Croydon, New South Wales area.